After showing the world an extreme performance version of its Ranger, the Ranger Raptor, Ford isn’t completely dismissing the idea of doing a Raptor version of its family-friendly Everest SUV as well. In an interview published by Australian website Drive, Ford Performance head engineer Jamal Hameedi says that the priority now would be to develop a petrol version of the Ranger Raptor for the US market, but doesn’t dismiss why Ford can’t do an Everest Raptor. This is a sentiment somewhat echoed by Ford Asia Pacific President Peter Fleet. 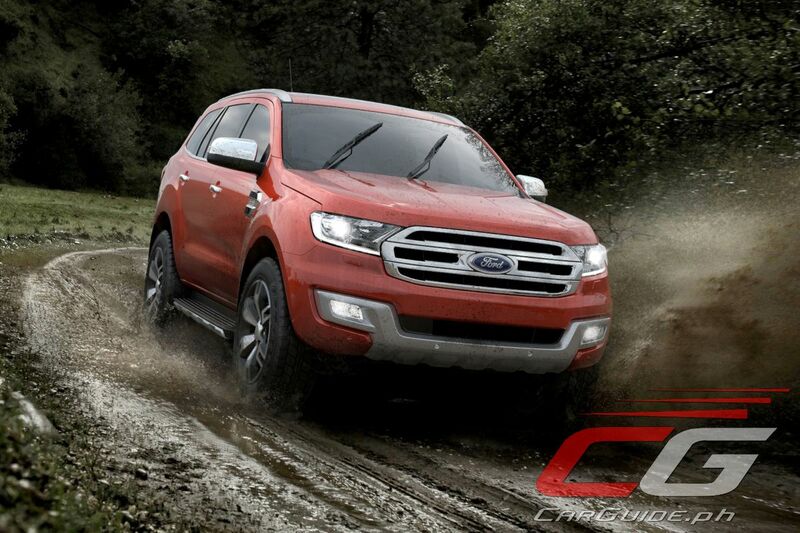 With the Ranger Raptor being the first Ford Performance model designed especially for Asia Pacific, Fleet says that they’re keeping an eye out for other high-performance models to be marketed under the Ford Performance range. He’s especially buoyed by the overwhelming response the Ranger Raptor has had in markets across the Asia Pacific region. Furthermore, he doesn’t deny that performance SUVs could help carve a bigger market share for Ford in the region, though he dismisses the idea of having an Everest Raptor because the “Raptor brand” is synonymous with pickup trucks. So something along the lines of an Everest Sport, maybe? Going back to Drive’s interview with Hameedi, an Everest Raptor may come out somewhat milder than its Ranger Raptor sibling. The Ford Performance head engineer says that the Everest’s rear body is harder to work with compared to the Ranger’s, although shoehorning a stronger, reinforced chassis along with a raised ride height and the Fox Racing Shox is more than possible. Wow Ford, all you can think of is sales. I went to Ford Dasmariñas and I have to wait 2 weeks and 2 days just to have my headlights checked. (auto leveling obviously failed) and will probably have to wait 1 month for parts after they confirm whats obvious. FYI, I had the same experience with my other headlight. STOP BITING OFF MORE THAN WHAT YOU CAN CHEW. YOUR AFTER SALES SERVICE IS REALLY THE WORST. Im posting this with my Google account as a testimony to your lousy service. Wow Ford, all you can think of is sales. I went to Ford Dasmariñas and had to wait 2 weeks and 2 days just to verify the obvious.. That my headlight auto leveling had failed. I probably have to wait another month for the parts after confirming whats obvious. FYI, I had the same experience with my other headlight. STOP BITING MORE THAN WHAT YOU CAN CHEW. YOUR AFTER SALES SERVICE IS THE WORST. Im posting this with my Google account as a testimony to your lousy service. Thanks for sharing. I will not consider this brand in my choices. these stories from ford owners are what discourages me from buying a ford. Not only that poor services, imagine bumper and shock absorber replacement for 2 weeks? unlike the other dealership only for 2 days including paintings. So i decided to sold my ford. Does Ford Everest has a gps?? Those equipped with SYNC 3, yes. Can the Volkswagen Teramont Go Against the Ford Explorer, Mazda CX-9, and Hyundai Palisade? How Much Money Do You Save Driving a Nissan Leaf? © 2011 - 2018 Ulysses Ang. All Rights Reserved. Powered by Blogger.